Mark Littlejohn was born in Edinburgh in 1962 but has lived in North Cumbria for over thirty years. A retired detective and computer forensic analyst, he took up photography relatively late in life and came into it via a love for his local landscape of Ullswater and the Eden Valley. He specialises in split toning colour images and prefers the smaller view to the grand vista. 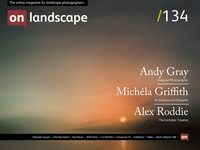 In 2014 he was named the Take a View UK Landscape Photographer of the Year. He spends his years alternating between working on the Ullswater Steamers and running small photographic workshops in the Eden Valley and the Lake District. At the Meeting of Minds conference 2017, Mark opened the event with a talk about the aesthetics and reasoning behind his use of split toning in his photography of the Lake District.